We hope that the content of our greatwar.co.uk website will offer teachers and students a range of useful information for study on First World War topics, that it will help to point you in the right direction for further study and will show you photographs, locations and visitors' information for making visits to the battlefields of the Western Front in Belgium and France. The content and photographs on our website are our copyright (unless otherwise stated), nevertheless we are happy for teachers and students to use text and images for written work in projects, presentations and so forth. We do request that they are not directly reproduced in a website format. The information given below comprises a list of organizations with WW1 related education programmes, websites of good reputation and school battlefield tour travel companies. The list is intended to provide helpful pointers for teachers looking for resources for personal experiences of the First World War, the 1914-1918 Home Front, the meaning of “Remembrance”, planning for Remembrance Day assemblies and projects, and preparing for visits to see the battlefields of the Western Front. We make suggestions in good faith, but if you have any cause to find a problem with any organization or resource we have suggested, please let us know. A new website launched in January 2014 for teachers containing over 500 historical sources from across Europe. The British Library has worked with 11 partner institutions in 7 European countries to collate the sources. The site examines key themes and provides teachers' notes. 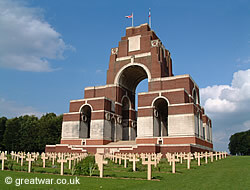 Thiepval Memorial to the Missing on the Somme battlefield, France. The Commonwealth War Graves Commission (CWGC) has produced a wide variety of free online and downloadable documents, presentations, classroom resources, Easy Read leaflets and advice for teachers with relation to the subject of the study of the First World War, visits to the military cemeteries in the care of this organization and the theme of “Remembrance”. Ideas for assemblies to commemorate Remembrance Day, aspects of commemorating those who have died in battle and free publications, DVDs and CDs available to schools and scouts from the Commission are included in a comprehensive section on the CWGC website devoted to education resources. Durham County Record Office offers an education service to teachers and students including visits to the Record Office, outreach visits to schools, workshops and resource packs from Key Stage 1 to 5 and web units. The online archive comprises over 7000 items of text, images, audio, and video for teaching, learning and research. Newspapers are a wonderful way to teach children about World War One, as each newspaper is filled with stories from eyewitnesses who were present at the time, making it a pleasurable way to aid learning and engage interest and imagination. The Council for British Archaeology is working with Historic England and partners across the United Kingdom to record hundreds of sites, structures and stories related to local events dating from the First World War. This is a major project and volunteers in communities across the United Kingdom are helping to document a wide variety of sites, including aeroplane crash sites and practice trench sites, military camps, houses adapted as hospitals and buildings taken over by the military. The Imperial War Museum Duxford provides a learning programme suitable for all ages. This includes workshops, illustrated talks, tours, handling sessions, role-play, talking with veterans and Special Days. These activities can be joined by organized group visits or informal self-directed tours on a visit to the museum. The Education Department at the Imperial War Museum London (IWM) offers group visits, events, teaching programmes and film showings. In addition, there is a range of learning resources available to buy from the museum shop including education packs and books. The story of three young soldiers in the Durham Light Infantry whose love of music might be their ticket away from the front, or their downfall. To mark the centenary of the outbreak of the First World War the show is touring to 11 venues and over 40 schools to November 2014. The newly refurbished museum offers resources, talks and workshops. For details of how to plan and book a visit see the National Army Museum website. The National Archives at Kew brings history to life with a variety of resources both online and as taught sessions. A range of records held at the archive can be accessed for different periods in history from medieval to the present day. The First World War is covered within “Early 20th Century 1901-1918”. Themes for this period include: Liberal reforms, suffragettes and the First World War. The aim of this project is to create a library of creative photographs documenting key sites associated with the First World War. Where possible the photos will be taken at a point in time close to the 100th anniversary of a battle action in the same location. By publishing the images it will create an archive for future generations to see and reflect on and discuss. Free resources for students and community groups will be made available by the project. Students are encouraged to take photos and share their thoughts on a Twitter feed and facebook page. 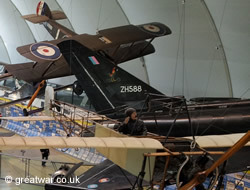 Royal Air Force Museum, Hendon. The Royal British Legion offers advice and resources for teachers and leaders of young people's organizations on how to introduce themes related to “ Remembrance” to young people. There is also information about advice on planning a battlefield tour. Spartacus Educational is an online active learning resource produced by John Simkin, BA, MA, MPhil. The encyclopaedia of the First World War on the Spartacus Educational website is created in sections, these being: Chronology, Outbreak of War, Allied Armed Forces, Central Powers, Important Battles, Technology, Political Leaders, British Home Front, Military Leaders, Trench War, The Soldiers and Major Offensives. The website also includes the First World War Poetry Digital Archive. This is an online repository of more than 7,000 items for teaching, learning and research. They include text, images, audio and video. For more information about the Digital Archive and its contents and this comprehensive resource visit the website. Discover WW1 at the Staffordshire Regiment Museum. 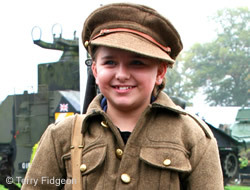 The Staffordshire Regiment Museum offers a range of visits for schools and student groups. 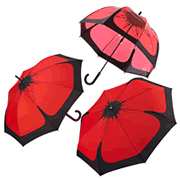 Visit the website for more information about curriculum-based visits for Remembrance Day and the First World War. 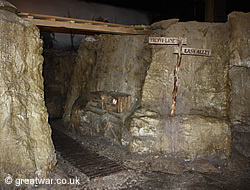 Walk-through trench at the Tank Museum, Bovington. HMDT Music is an independent music charity which has set up a project for primary schools called Trench Brothers. It commemorates the achievements and contributions of ethnic minority forces in the First World War. 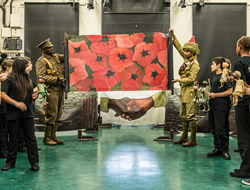 Delivered in partnership with the National Army Museum and Little Angel Theatre, it offers artefacts and Costumed Interpreter sessions, puppet making workshops for students to make their own force of Trench Brother soldiers and a composition session setting students’ Letters Home to a given soldier to music. With access to an Education Zone, offering 90 lesson plans and activities in every subject mapped to the new curriculum, it culminates in interactive performances in each school of a new music theatre work. To find out more and sign up your school go to the website or contact HMDT Music by phone. 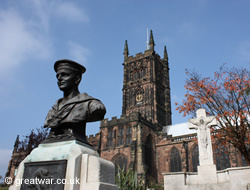 Memorial to Douglas Morris Harris, RNVR and 1914-1918 War Memorial near St. Peter's Church, Wolverhampton. The Imperial War Museum has been compiling a list of over 60,000 war memorials in the United Kingdom over the past few years. You can search for a memorial and its location. The project is also working to also compile a database of the names featured on the United Kingdom war memorials, which was started in conjuction with the Channel 4 programme “Lost Generation”. 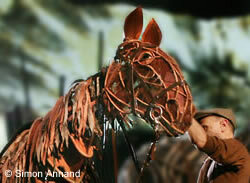 War Horse, the stage play. The story of War Horse, by Michael Morpurgo, has elements which can be used by teachers, students or researchers for English, History and Drama studies. The award winning War Horse stage show offers free resources in the form of a downloadable Resource Pack and a Scheme of Work on its website. There is also an interactive map to find out about the role of horses in the First World War. 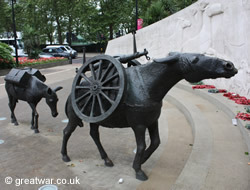 Animals in War Memorial on Park Lane, London. The War Memorials Trust has developed a Learning Programme which aims to involve young people in the history behind many hundreds of war memorials located across the United Kingdom, and help them to preserve the memory of the people they commemorate. In so doing, the Trust intends to inspire a desire by the younger generation to continue its dedicated work in the care and preservation of these memorials. The War Memorials Trust encourages young people to get involved and will offer every assistance to teachers and group leaders wishing to know more about how young volunteers can help and how the Trust's resources for learning can be used. An Open Educational Resource created by the University of Oxford, supporting new directions in teaching World War I. Members of the Time Bandits Living History Group in period costume. 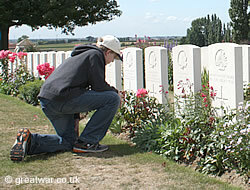 A young visitor at Tyne Cot Cemetery on the Ypres Salient. Our website provides a listing for a number of companies which arrange tours to the First World War battlefields of Belgium and France specifically for schools, students and youth groups. We offer the listing in good faith, based on their reputation known to us and the information supplied by these companies, but if you wish to report any problems please let us know. 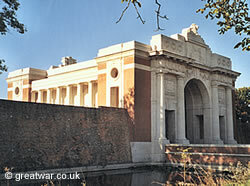 The Menin Gate Memorial in Ypres, location of the daily Last Post ceremony. A selection of books and a facsimile documents pack are suggested here as suitable for young readers to introduce them to the subject and help them with projects. Photographs and stories about the people and their experiences of the First World War. Published by Dorling Kindersley. Re-issue edition (1 July 2011). Highly recommended by young readers and adults too. Full of facts about the horrors and hardship of a terrible war, made memorable for young readers by the clever writing and illustrations. An account of a fictional British Army soldier and his experiences of the First World War. An account of a fictional girl who joins the First Aid Nursing Yeomanry and experiences the war from the perspective of a girl involved in the care of wounded servicemen and driving the ambulances. The story of a sixteen year old boy who enlists in the British Army underage. His experience of war and death in the trenches of the Western Front is told movingly through his letters home to his mother. Written and illustrated by Marcia Williams, this is an unusual and fascinating visual portrayal of a young boy living on the home front in London during the First World War. World events and family relationships are portrayed by Archie in his collection of scrapbook images. Nominated for the 2015 Carnegie and Kate Greenaway Medals 2015. A highly recommended book aimed at children 4-11 years. A book written in tribute to the many friends who went to war in 1914-18. The book is written in rhyme, in homage to the war poets, and offers a stepping stone into centenary commemorations for young children. Themes explored in the book include peace, friendship and resilience. The story follows childhood friends Ben and Ray throughout their wartime experience, as they both make the decision to serve their country. 36 pages. Finalist Educational Resources Book Award 2015, Shortlisted Sheffield Children's Book Award 2015. A sequel to the highly recommended book “Where the Poppies Now Grow”, this book follows the friendship of Ben and Ray as they take part in a few moments of peaceful friendship between the warring sides in a Christmas truce on the battlefield. Aimed at children 4-11 years. This is a book written in tribute to the many friends who went to war in 1914-18. 36 pages. Good quality facsimile documents. The pack includes a leaflet for Joining the Ranks, a Kitchener postcard, medical report, ID card and recruitment cards. 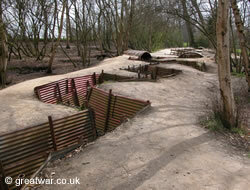 Rare trench remains at the Sanctuary Wood private museum near Ypres, Belgium. 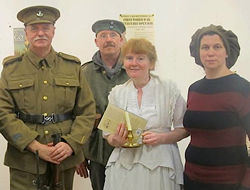 See our page listing a wide variety of projects which cover the fighting and the home front. These projects vary in scope and content, some are local, others are national. Many are carried out by volunteers, and some have received funding during the First World War centenary so they can carry out important educational work. They are valuable resources for the stories of men, women and children's lives in WW1. See our page listing online exhibitions for the First World War topic, which will be helpful for teachers and students to explore.